Casa Maria Silvana, a property with barbecue facilities, is located in Florianópolis, 14 km from Casa Açoriana Handcraft. 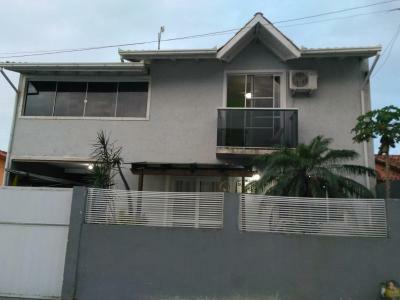 The property has mountain views, plus is 20 km from Floripa Mall. Leading onto a balcony, the holiday home consists of 4 bedrooms. A flat-screen TV is provided. Iguatemi Florianopolis Shopping Mall is 25 km from the holiday home, while Campeche Island is 36 km away. When would you like to stay at Casa Maria Silvana ? This holiday home has a balcony, barbecue and oven. Each day we'll check prices and send you an email for your selected dates at Casa Maria Silvana. If you don't have specific dates but would like to check prices for say next weekend or say next month we can check the price too. 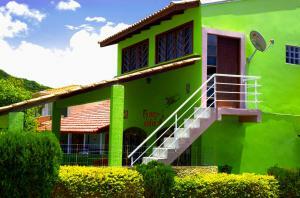 Click to write a review and share your experience of Casa Maria Silvana with other travellers.